TRON is one of those projects that seemingly popped out of the nowhere. 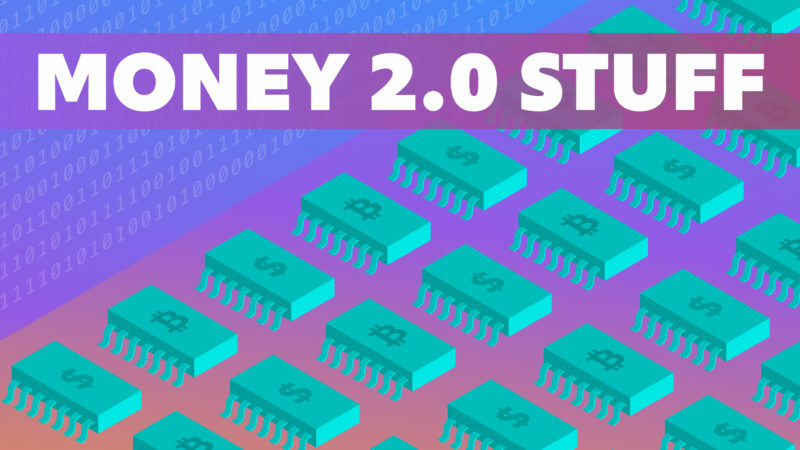 In a little over a year, the project’s native token, Tronix (TRX), climbed up the CoinMarketCap rank, settling at approximately $1B at the time of this writing. It is now the 10th largest cryptoasset by market capitalization. The climb was far from smooth, however. Regular followers of the crypto-space already know about the reports of Tron’s plagiarized white paper and the claims that it had copied code from other blockchain projects. TRON is something of an enigma. Earlier on, the project promoted itself as a blockchain-enabled entertainment platform. As recently as June 2018, visitors of the English version of TRON’s website would be greeted with words “global broadcast platform” nestled under the cliche call-to-action to “decentralize the web.” More recently, however, TRON has pivoted its focus, and marketing, to the decentralized the web aspect of its message. Leading the marketing push is TRON’s founder and CEO Justin Sun. Sun is TRON’s de facto leader. And purely by financials, Sun has been a good leader: investors of TRON at its initial coin offering would have generated a return on investment of ~650% if they held on to their tokens until now. 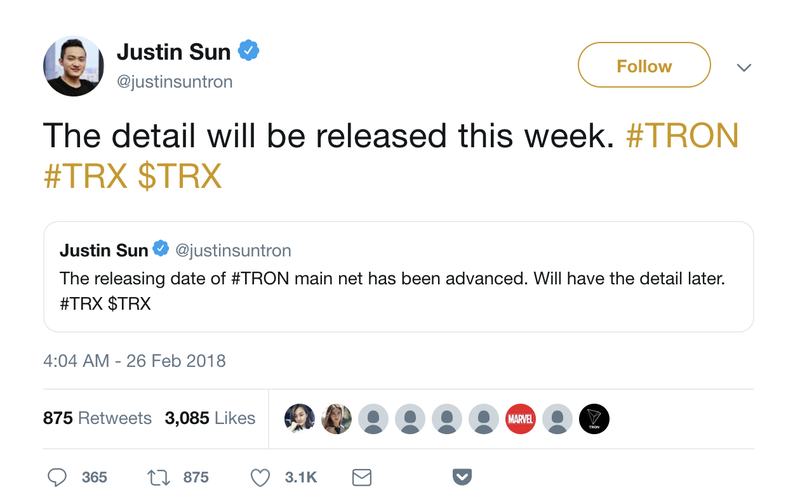 One of the Sun’s — and therefore TRON’s— flaws, however, is his tendency to overpromote or overhype announcements through his social channels. 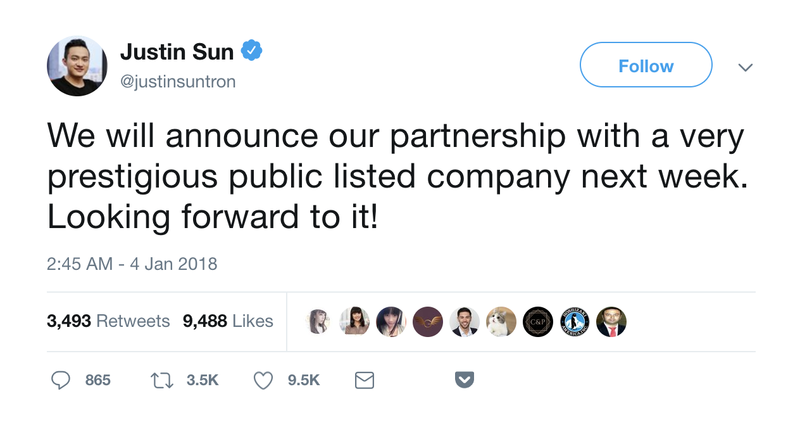 In Muskian style, Sun often makes announcements of announcements, hinting at potential partnerships and major news events. These pre-announcements have become frequent enough to turn into a running joke among various members of the crypto community. While one may not necessarily find fault with a CEO promoting and hyping their products and announcements — that is their job, isn’t it? — one might find concern with the impact of Sun’s announcements on the market. What is more interesting, however, is the price dump at market close for TRX on the day of a pre-announcement. By comparing the closing price of an asset prior to a pre-announcement and the closing price on the day of a pre-announcement, we found that assets gave an average return of -10% and a median return of -11%. That is to say, if an investor invested a dollar in TRX at its highest price on the day of pre-announcement and sold the asset at its closing price their dollar would be worth $0.90 and $0.89, respectively. Below we calculated the price movement of TRX after Sun’s pre-announcements. For the sake of comparison below is the price movement of bitcoin on the same dates. 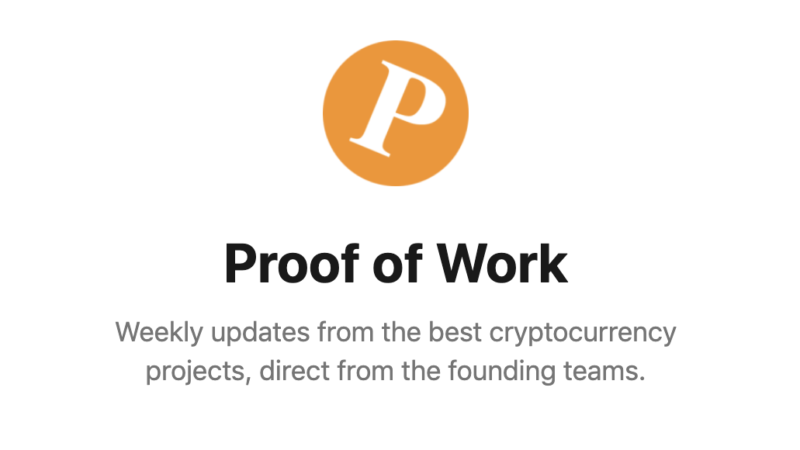 To be sure, tokens aren’t shares, and founders of blockchain projects aren’t legally accountable to their token holders — unless those tokens end up being securities. However, there should be some type of accountability, lest we decide influential leaders can do and say anything they want to the detriment of the stakeholders of their project. Misleading partnerships like the one between TRON and Baidu, where TRON announced that it was working with Baidu “to offer blockchain solutions” when in reality Tron was just going to “purchase and use of basic cloud computing resources” from Baidu, helps no one — especially not Tron’s investors. Aware of the complaints of his pre-announcements, Sun has been ramping up TRON’s hiring of more seasoned executives to bring more maturity to the company, according to people familiar with the matter. And to be fair, the 28-year-old founder appears to have pulled back his pre-announcement tweets, though his recent tweets still suggest that he still has a long ways to go. Whether Sun is just an excitable entrepreneur happy to share details about the growth of his company or a cunning marketer who understand the game is to talk one’s own books is to be seen. But until we figure that out, TRON investors may find it in their own self-interest to keep their Twitter notifications off and focus on the real developments of their ecosystem.